House A investigates the tones and textures of immigrant home-building by asking: How is the body inscribed with a cosmology of home, and vice versa? 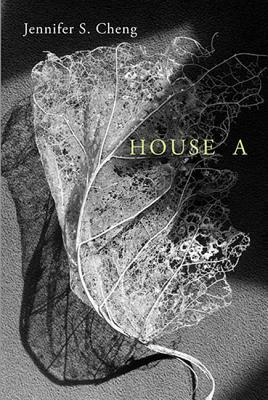 With evocative and intellectual precision, House A weaves personal, discursive, and lyrical textures to invoke the immersive-obscured experience of an immigrant home's entanglement while mapping a new poetics of American Home, steeped in longing and rooted by displacement. Jennifer S. Cheng is a poet and essayist with MFA degrees from the University of Iowa and San Francisco State University and a BA from Brown University. A US Fulbright scholar, Kundiman fellow, and Pushcart Prize nominee, she is the author of an image-text chapbook, Invocation: An Essay (New Michigan Press). Having grown up in Texas, Hong Kong, and Connecticut, she currently lives in San Francisco.